When the devel had ended every temptation, he departed from him until an opportune time. The devil began with want and misfortune; when that did not work, then he began with prosperity and honor; and last, when all fails, that he wantonly and wickedly springs forth and strikes people with terror, lies and other spiritual tricks. 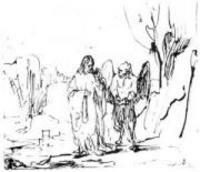 At last angels approached and served Christ. This must have taken place in a literal sense, that they appeared in a bodily form and gave him to eat and drink, and just as at a table, they ministered to all his wants. 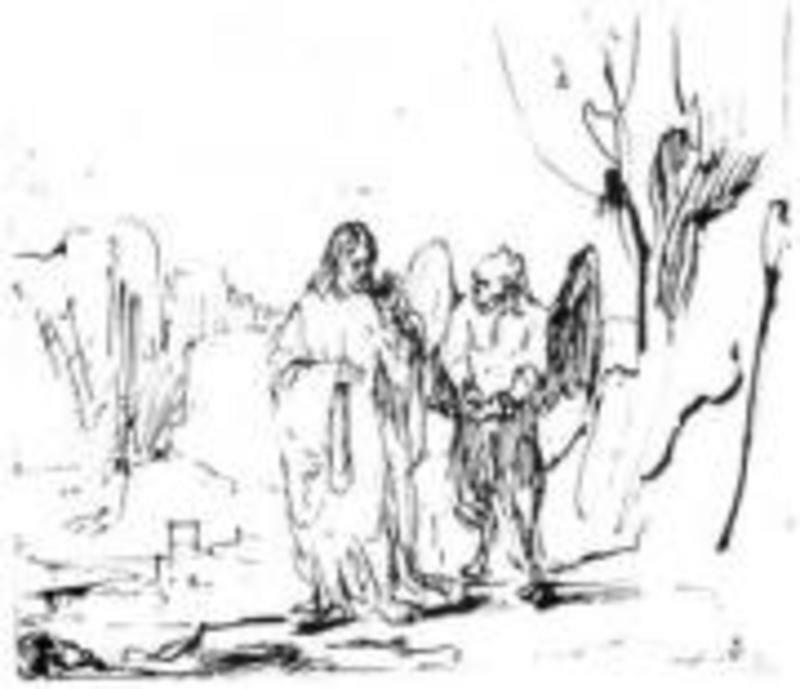 For the service is offered outwardly to his body, just like, no doubt, the devil, his tempter, also appeared in a bodily form, perhaps like an angel. For, seeing that he places him on the pinnacle of the temple and shows him all the kingdoms of the world in a moment, he must have been a higher being than a man, since he represents himself as a higher being, in that he offers him all the kingdoms of the world and permits himself to be worshiped. But he surely did not bear the form of the devil, for he desires to be beautiful when he lies and deceives, as St. Paul says of him in 2 Cor. 11:14: "For even Satan fashioneth himself into an angel of light."